Troy Lee Designs Peter Fonda Easy Rider Open Face crash helmet Large L This Limited Edition helmet is named and styled after the Oscar nominated 1969 legendary Easy Rider film . The Easy Rider film has been called the most revolutionary motorcyle film ever made, so it is only fitting that it should have been made here as a limited edition to keep and cherish .Iconic film actor Peter Fonda’s role in the 1969 classic Easy Rider was the direct inspiration for this design. 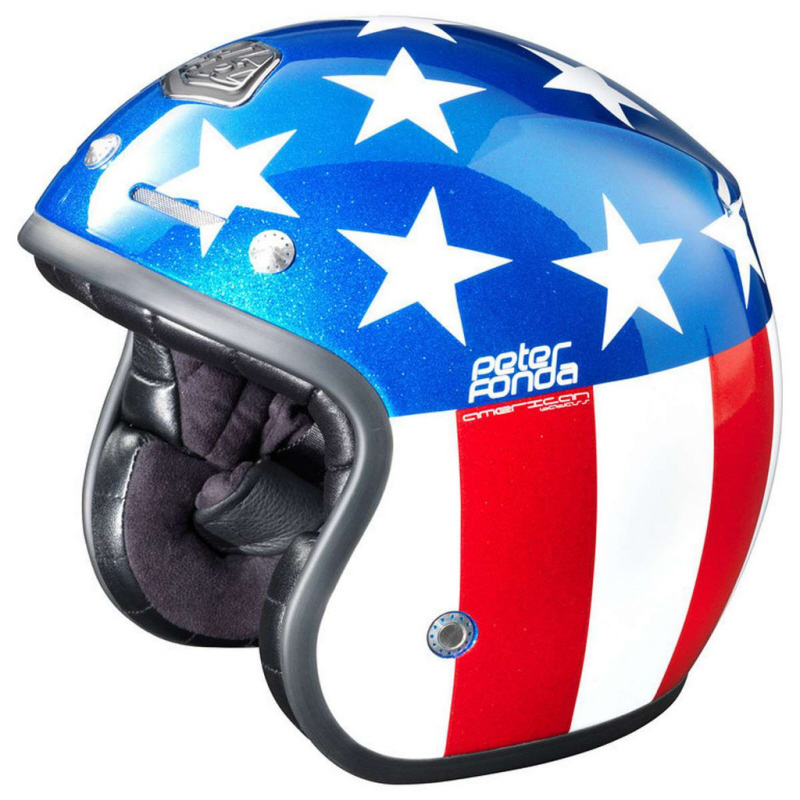 Symbolic of freedom and the open road, this helmet is perfect for the weekend rider or vintage enthusiast, and has the official stamp of approval from ‘Captain America’ himself. "It's a real pleasure to be in business with another son of a gun!"